Edward Lear, Mt. Etna from near Carlentini. 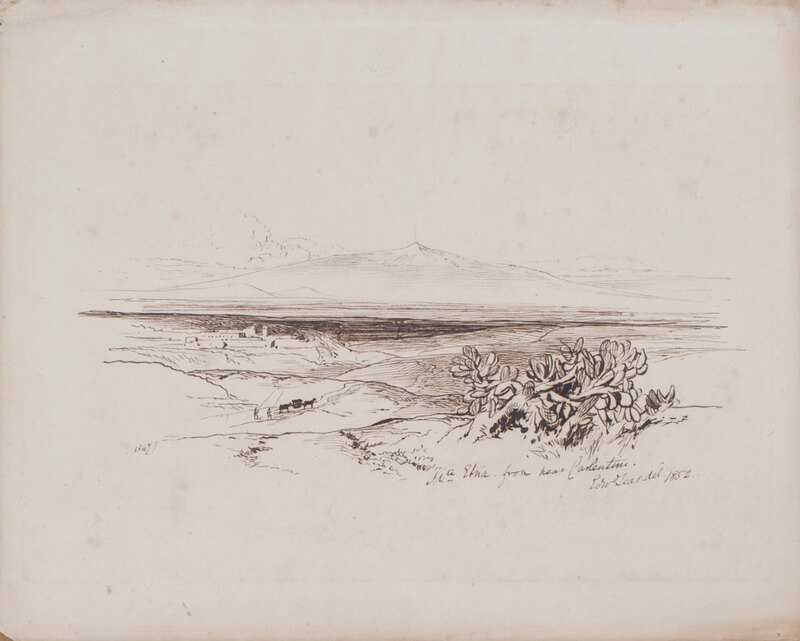 Pen and ink, signed, titled and dated 1852, 23cm x 28.5cm. This entry was posted in Edward Lear and tagged Edward Lear, Italy, landscape, travel, watercolours. Bookmark the permalink.